I concur with two points from D. Dowd Muska’s recent opinion piece. One: “It’s certainly true that by themselves, lower individual and corporate taxes have not generated much job- and wealth-creation in New Mexico.” Yep. Two: New Mexico is in a “dire fiscal condition.” Or, more simply put, our state’s economy is in the tank. Under Governor Martinez’s watch, our state has developed a deficit of hundreds of millions, we’ve spent all of our savings ― which led Wall Street to lower our bond rating ― and we’re ranked the worst-run state in the country (again). Governor Martinez’s economic policy ― rooted in the decades-old ideology of “tax cuts for jobs” ― has failed, and failed spectacularly. We know what creates jobs, and they’re the same things that make our nation’s modern economy possible: investments in human capital and infrastructure. Sure, businesses like tax breaks, but they don’t need tax breaks. They need well-trained, educated employees; customers with money to spend; and the infrastructure that enables them to get their products to market. But those are the very things they’re less and less likely to find in the Land of Enchantment. That’s because, instead of investing in its human capital, New Mexico has actually been divesting. Some of the deepest cuts of the past decade have been to our universities and colleges, which have had to raise tuition significantly in order to survive. If you’re relocating a business that will need educated workers, would you set up shop in a state that’s made it more difficult to get a college degree? Or would you pick a state that makes educating their workforce a top priority? Investments in our workforce and infrastructure require money — which we’re short on at the moment, in large part because of tax cuts we’ve passed for out-of-state corporations. Since these tax cuts have failed to stimulate the economy, it’s foolish to continue them. If we rolled them back we’d be able to reinvest in the things that will grow our economy. To be fair, Mr. Muska’s opinion piece is really about the fact that taxes have been raised on the county and city levels, and he has a fair point there. His point, however, simply reinforces our underlying argument — that tax cuts at the state level have failed and those failures are felt at the municipal level as well. City and county governments have been short-funded both because of the poor economy and because the 2013 corporate tax-cut legislation decreased the amount of money going to cities and counties. It also gave municipalities the power to increase their gross receipts tax rates — a tax that Mr. Muska accurately points out falls hardest on consumers. In fact, all taxes at the city and county level fall hardest on working families. Only the state can tax incomes — both personal and corporate — which helps spread the tax responsibility more evenly than do sales or property taxes. The outdated, disproven ideology of “no new revenue” offered up by Governor Martinez and the Rio Grande Foundation is a failure. New Mexico deserves better. We need to invest in New Mexico in order to transform our economy so everyone has an opportunity to better themselves. 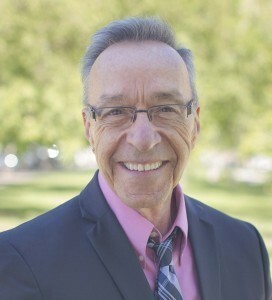 Bill Jordan is senior policy advisor and government relations officer for New Mexico Voices for Children. Note: This piece also ran on NMPolitics.net.